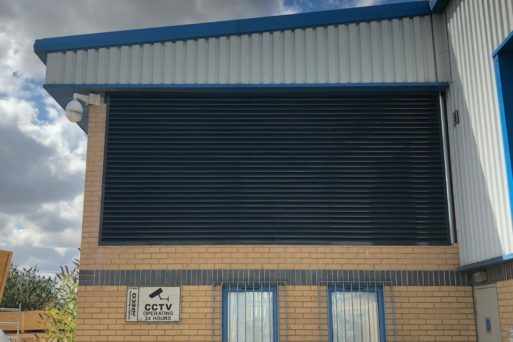 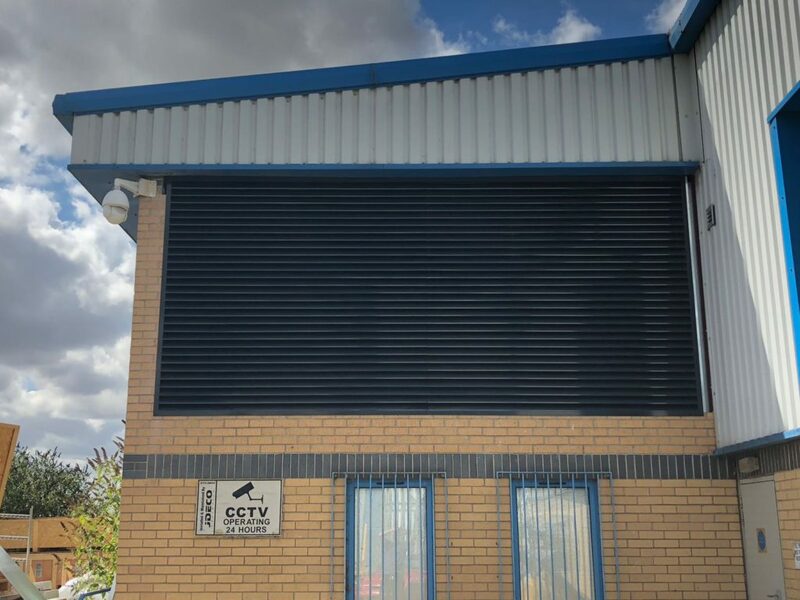 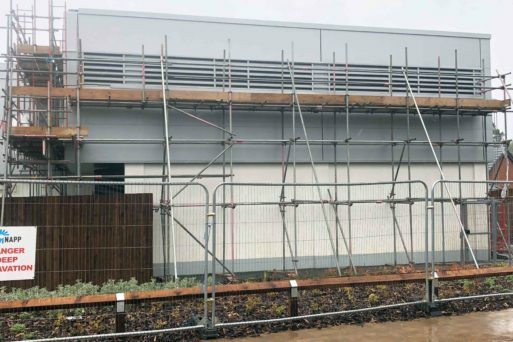 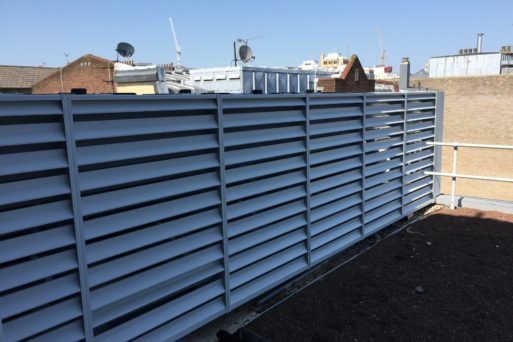 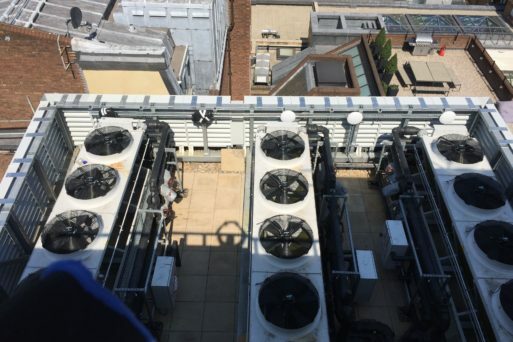 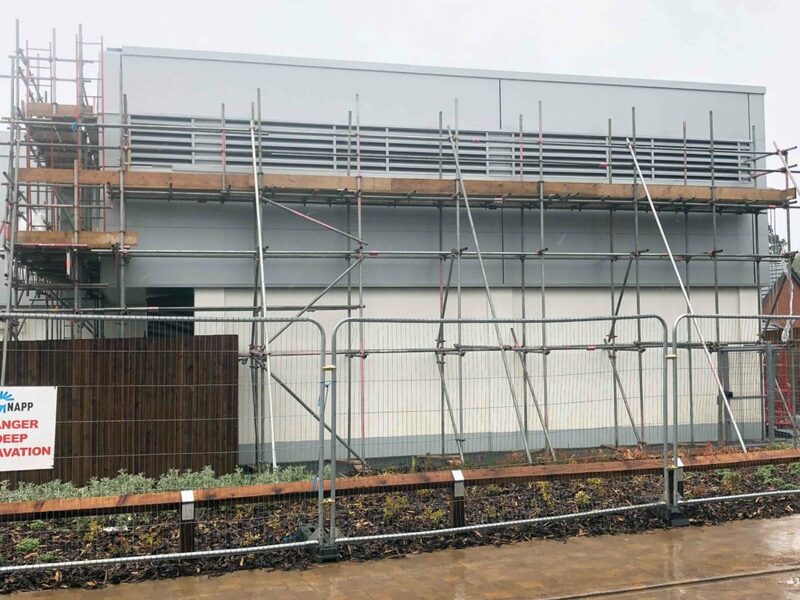 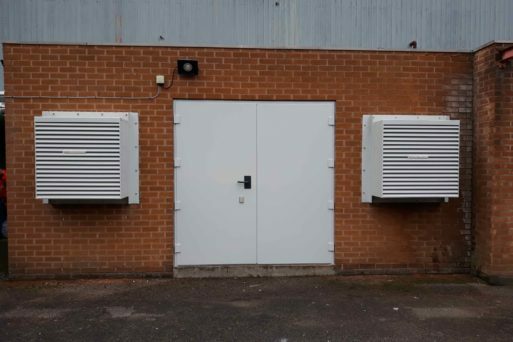 Wakefield Acoustics design and supply acoustic louvres to reduce noise emissions from building ventilation systems and roof-mounted plant and equipment. 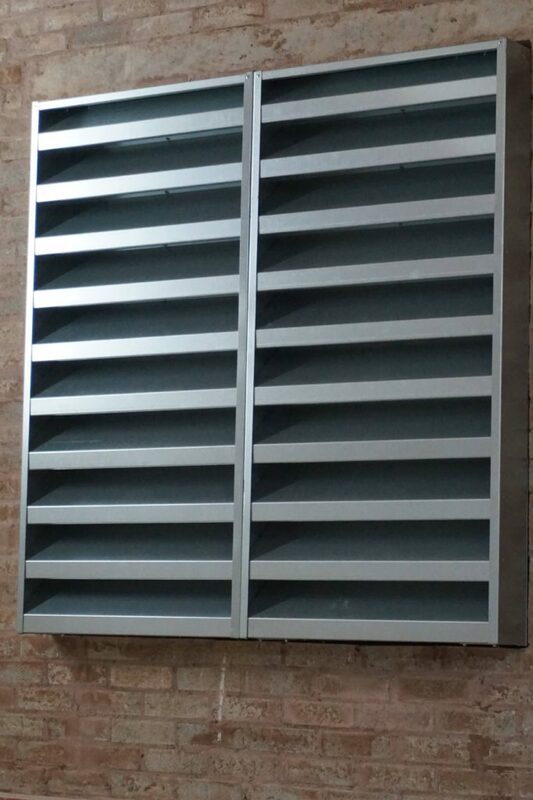 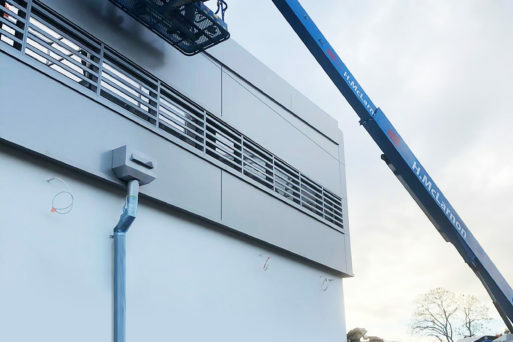 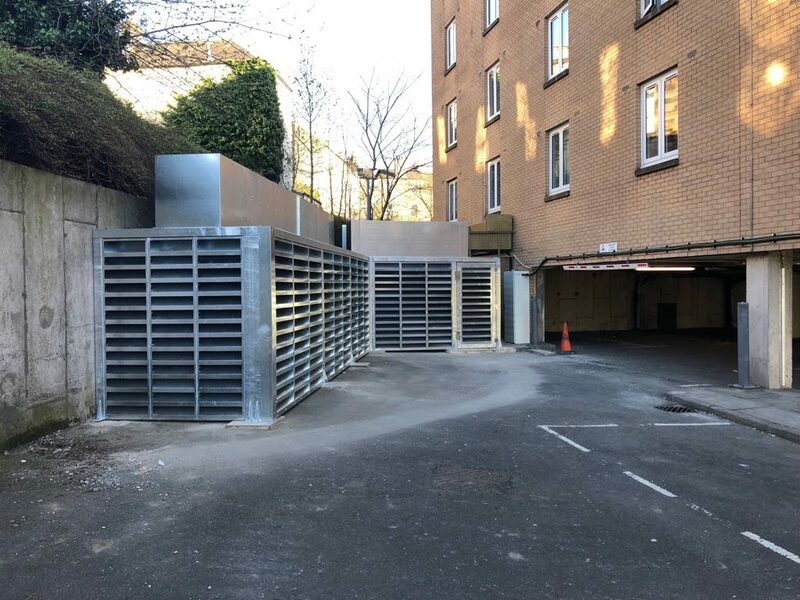 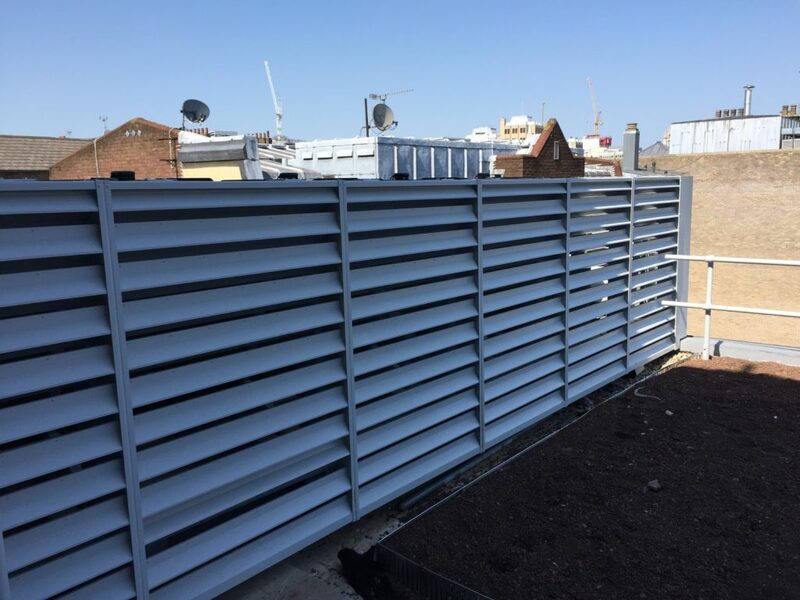 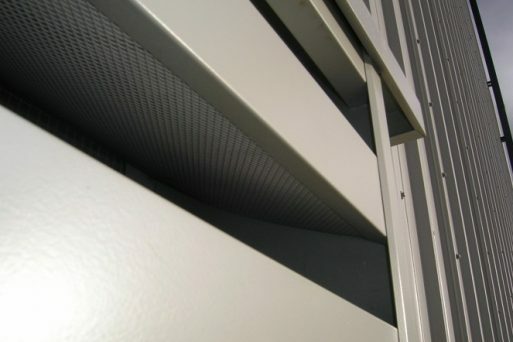 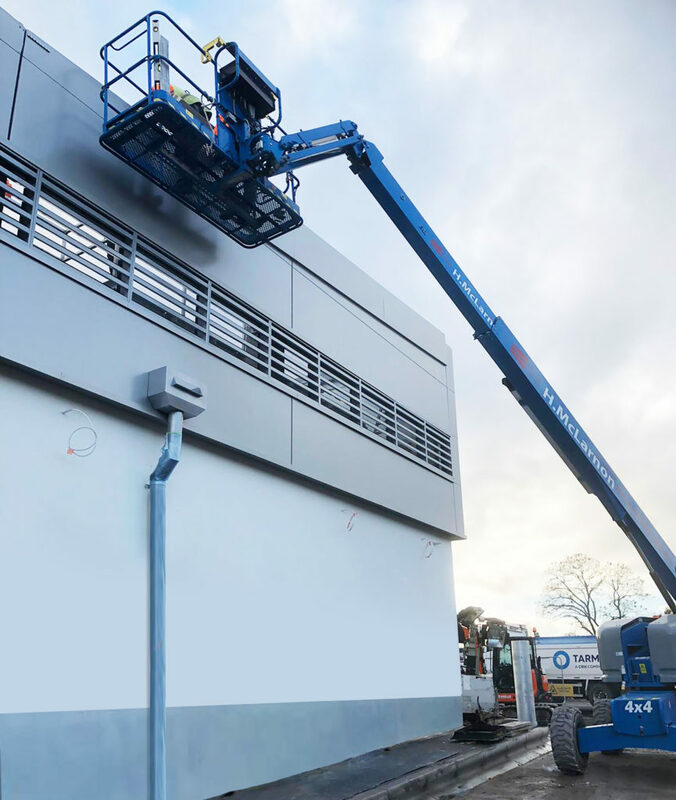 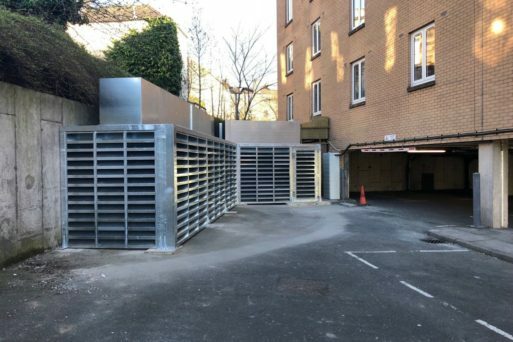 Acoustic louvres have become the accepted solution for weatherproofing and noise attenuation for ventilation air intakes and discharges, and for acoustic barriers / enclosures where high levels of airflow are required. 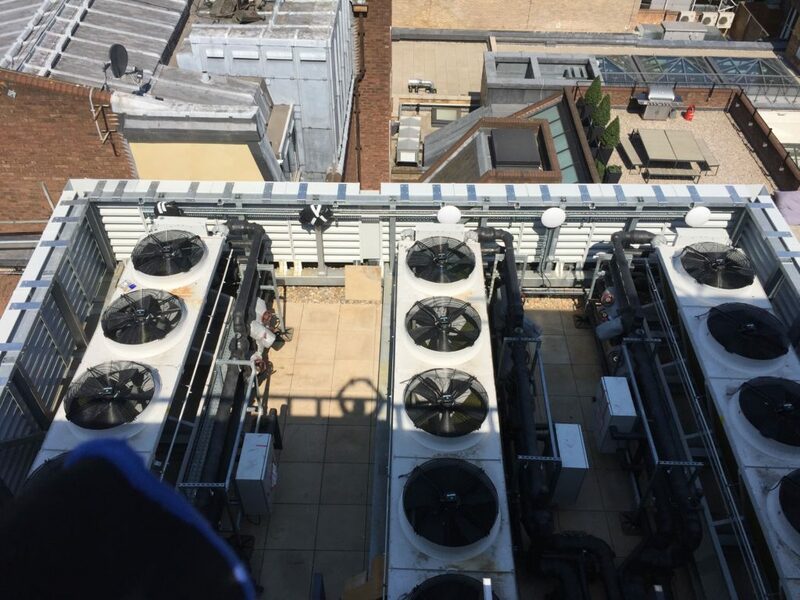 We work closely with end users, OEM’s, contractors and consultants to address complex noise problems across a wide range of industries. 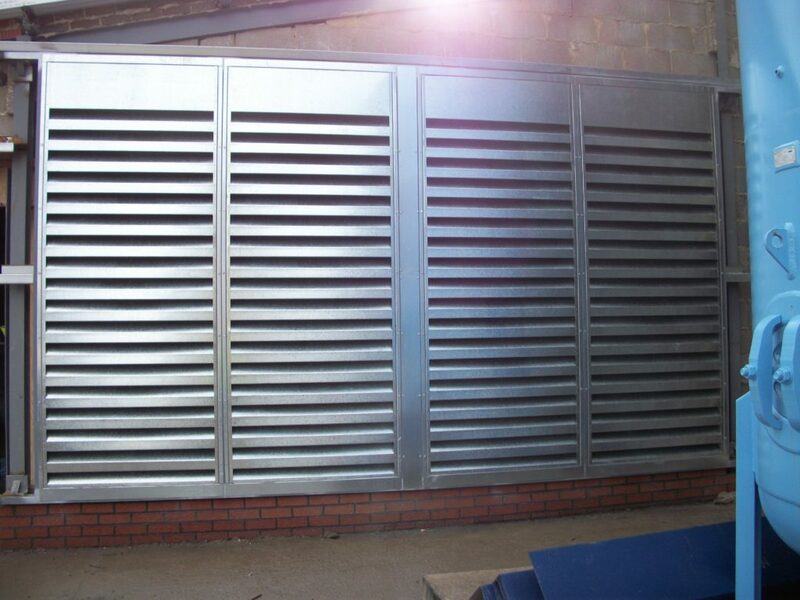 Each of our acoustic louvres are cost-effectively designed to meet the most demanding of customer noise specifications. 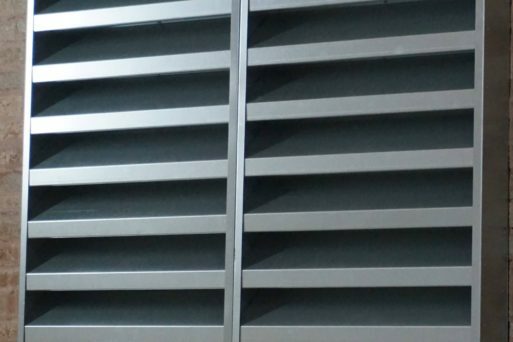 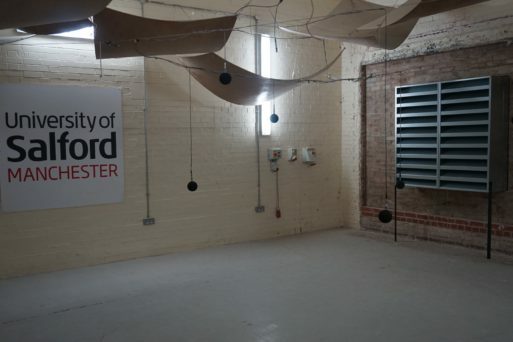 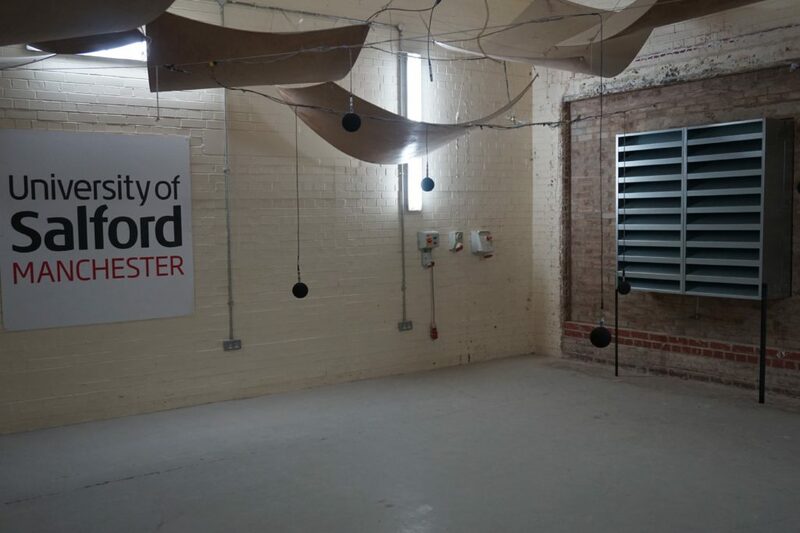 Wakefield Acoustics can design and supply acoustic louvres to suit any size aperture. 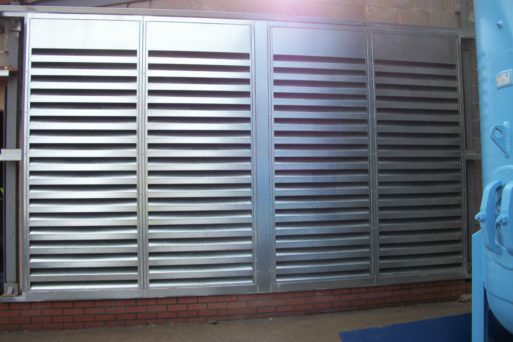 For acoustic louvred screens or barriers, or where a large louvre bank is required, integrated support steelwork systems can also be provided. 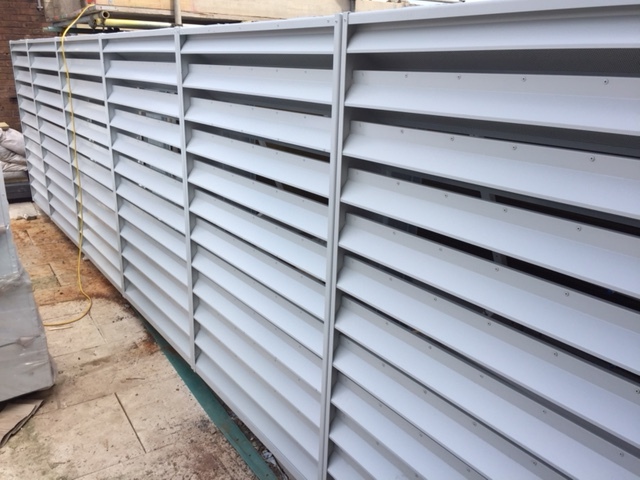 Below are some of the optional features of our louvres, and a more detailed specification is included in the downloadable product datasheet. 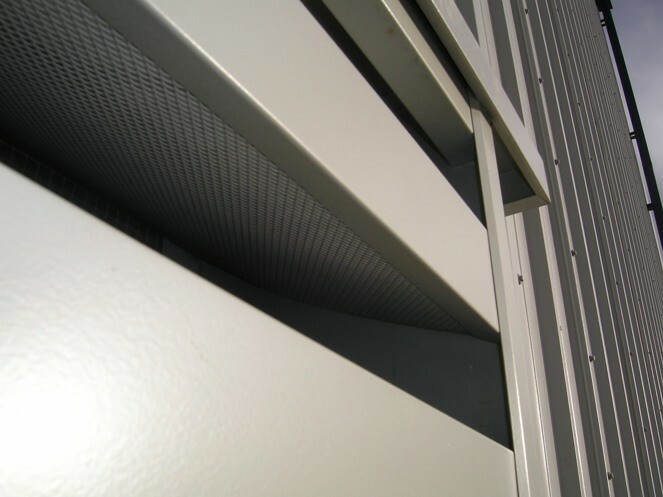 Semi-aerofoil blades designed to reduce pressure loss through louvres. 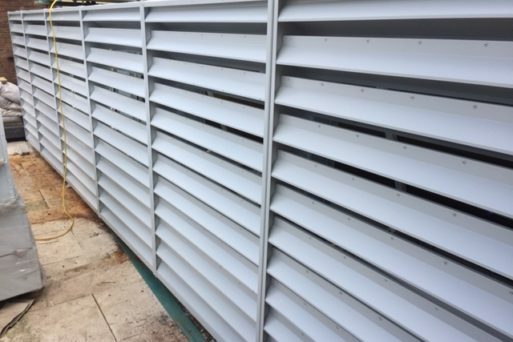 Louvre blades manufactured with integral folded rain lip.